We’re your source for beauty and sustainability! We stock a broad selection of veneered wood doors by Eggers and VT Industries, both recognized among America’s leading manufacturers of premium door products. 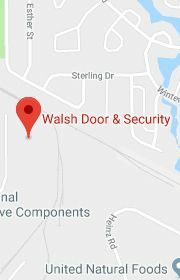 Both companies provide 5-Ply Flush and Stile & Rail doors, as well as specialty doors. Hardwood stiles before face construction and double-hot-pressed construction provide greater strength, impressive durability and appearance. A wide variety of UV-cured, standard color wood veneer and laminate finishes are available, as well as the ability to custom color match. For custom designs, wood veneers can be applied in varying grain directions. Specie types can also be varied, allowing for endless design options. Just ask! 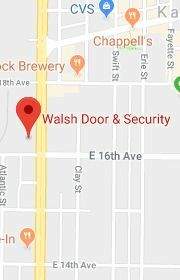 Our experts will help you determine the correct requirements for each opening, then recommend the appropriate door application. We can provide experienced advice for customers ordering Stile & Rail Doors, Wood Frames and Custom Glass Doors. 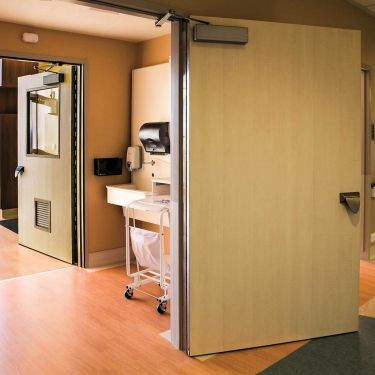 We can also provide specialty solutions – including lead-lined and acoustical wood doors. 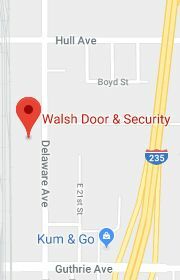 We are a certified Warnock-Hersey fire door and frame labeling facility. 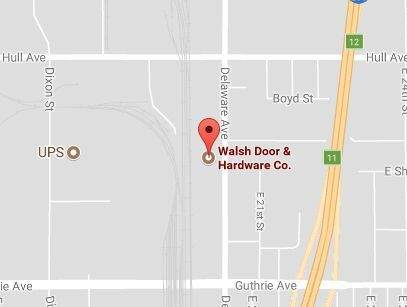 Our wood doors can be fire-rated 20-Minute, 45-Minute, or 90-Minute, if appropriate. 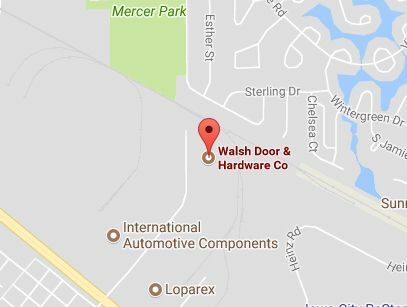 We can help meet your LEED point requirements and provide FSC® (Forest Stewardship Council®) chain-of-custody certified wood door products. 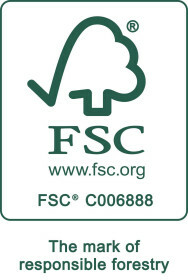 Please ask for our FSC® - certified products. Choose from a wide range of wood door types and veneers. Featuring 5-ply construction and beautiful, seamless wood appearance. Veneering of top and bottom rails is available. Featuring raised and flat panel elevations, stile & rail doors are perfect for restoring historic buildings or enhancing the style and beauty of new designs. Match any interior, thanks to the huge variety of plastic laminate styles and colors. Both 5-ply and 3-ply construction are available, as well as matching laminate for top and bottom rails. 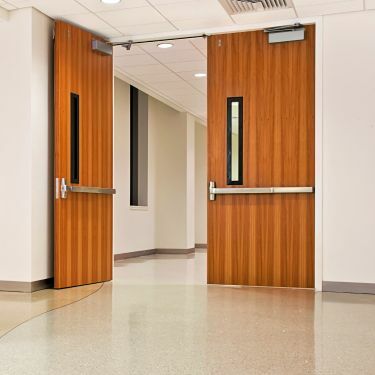 These easy maintenance doors are perfect for high-traffic, high-wear areas, such as hospitals, schools and commercial buildings. They provide unmatched durability, as well as impact and stain resistance. Wood veneers can be factory-finished in a wide variety of shades. 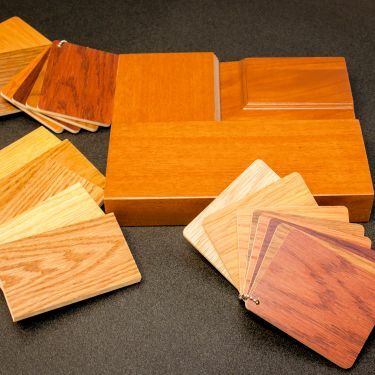 Hundreds of laminate options are also available, as well as custom-matched finishes. 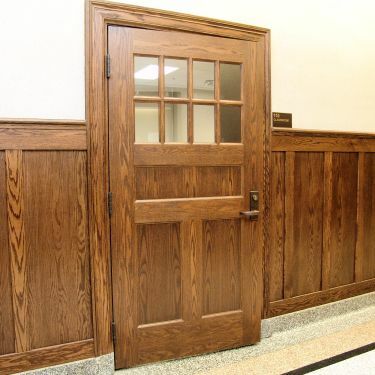 Our wood door experts can help you select the perfect options for your project.